The move from strictly paper-based processes in the clinical research laboratory to processes that are more automated and paperless has been ongoing for several decades. Driving this change has been the promise of greater laboratory efficiency and more time for laboratorians to focus on other aspects of the lab. This move from paper to electronic information management has required a solid in-house information technology (IT) foundation that includes investment in hardware, data management software like a laboratory information management system (LIMS), middleware, and IT personnel to manage it all. 01/13/2018 - Professional social networks... what are our choices? Published in early 2017, this paper by Albert et al. 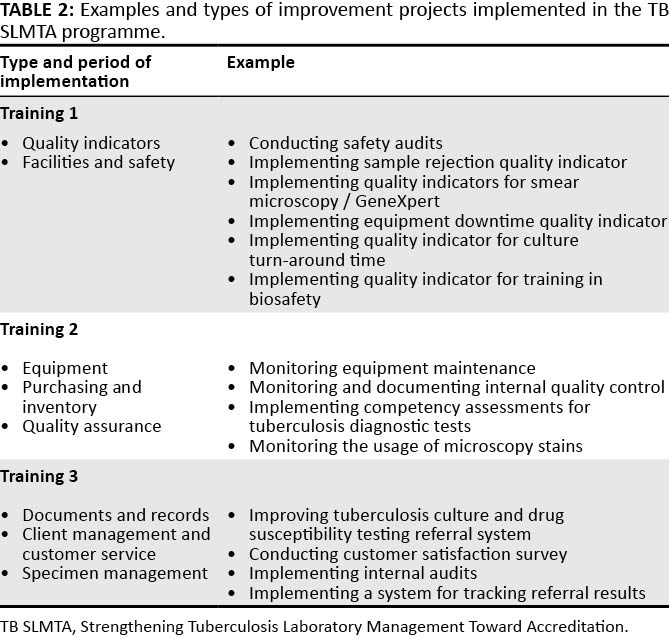 discusses the development process of an accreditation program — the Strengthening Tuberculosis Laboratory Management Toward Accreditation or TB SLMTA — dedicated to better implementation of quality management systems (QMS) in tuberculosis laboratories around the world. The authors discuss the development of the curriculum, accreditation tools, and roll-out across 10 countries and 37 laboratories. They conclude that the training and mentoring program is increasingly vital for tuberculosis labs, "building a foundation toward further quality improvement toward achieving accreditation ... on the African continent and beyond." 01/18/2018 - CloudLIMS January 2018 newsletter is now out!